Are you interested in a landscape oriented Webnotebook? 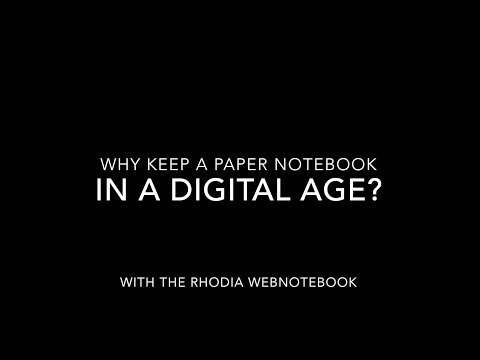 The very popular Rhodia Webnotebooks are available in A5 or A6 (pocket) size, lined, blank or dotted. At this time, our US product line only has portrait-oriented Webbies. Is this a product you would be interested in us adding to the US product lineup? What would you use a landscape-oriented Webbie for? You mean a “reporter’s notebook” made from the best paper on earth? Um, yes! This would be a huge boon for actual reporters, or anyone who needs to take notes while standing or in close quarters. Also–my use–would be as a writer’s “commonplace book” the place one scratches down all the myriad ideas that linger in the mind only briefly before wandering off someplace else. Yes, I would use a landscape oriented blank web notebook for sketching, pencil, charcoal. It would be convenient for travel. Love the quality of the paper. Thank you! Yes, yes, 1,000 times yes! For bullet journaling where weekly or monthly spreads are created, a landscape orientation is far better suited fot that than the traditional A5 shape. I would use for quick sketches or some scrapbooking. If watercolour resistant it would be good too.